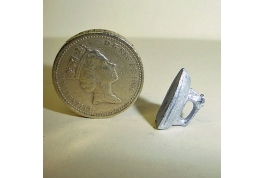 Welcome to our Dolls House Metal Miniatures page. 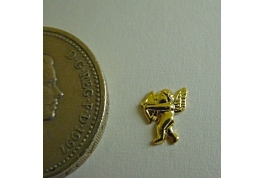 In this section you will find a wide range of miniatures in both 1:12 and 1:24 scale. 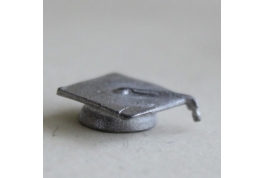 They can be hand painted using enamel paints or in many cases left as plain metal. 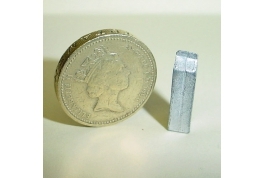 Some of our range are in kit form for those of you who like to be a bit more creative. 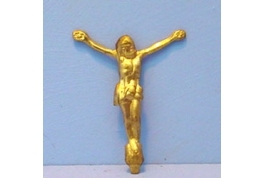 12th Scale Brass Christ on Crucifix Ideal For Dollhouse Projects, Card Craft, Jewellery Projects And Dolls Jewellery Projects. 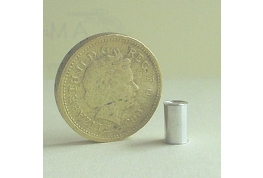 Metal tube ideal to use for 12th and 24th scale settings. 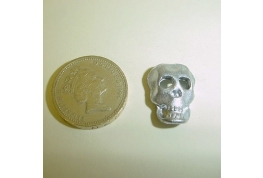 Can Be Painted And Decorated To Suit Your Requirements. 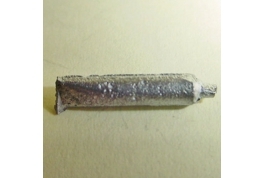 Metal tube ideal to use for 12th scale settings. 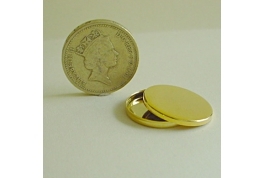 Can Be Painted And Decorated To Suit Your Requirements. 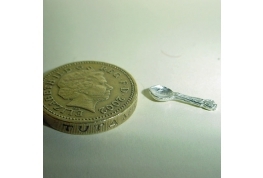 12th Scale British Pewter Silver Desert Spoon. Ideal For Use In The Kitchen, Pub And Cafe. 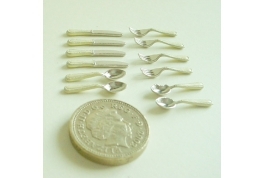 12th Scale Cutlery Set With cream Handles. This Set includes 4 Of Each Knives, Forks and Spoons. 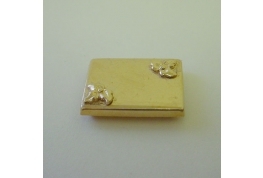 12th Scale Gold Plated Decorated Rectangle Tin With Removable Lid. 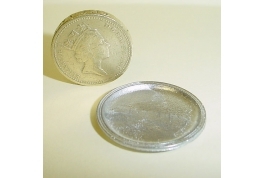 12th Scale Decorated Round Tin With Removable Lid. 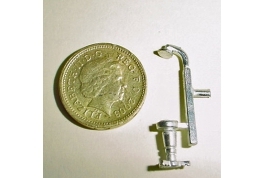 Ideal For Filling With Hand Crafted Miniatures. 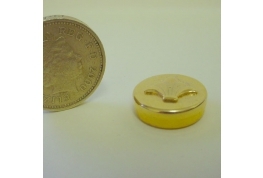 12th Scale Round Tin With Removable Lid Ideal For DIY Projects. 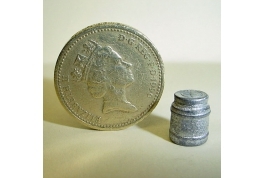 12th Scale Round Tin With Removable Lid Ideal For DIY Projects. 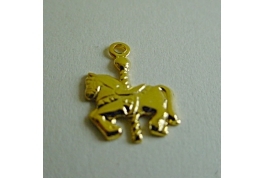 Plated With 22K Gold. 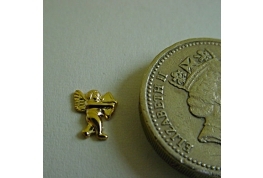 Gold Plated Teddy Bear, Would Make A Nice Ornament For Your Dollhouse Nursery Or Ideal For Card Craft. 12th Scale Metal Hollow Skull, Painted White With Oil Based Paints This Would Add That Finishing Touch To Your Medical Setting. 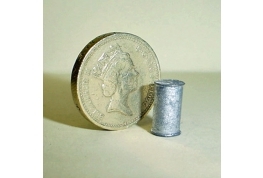 12th Scale Large Beer Can, Ideal For Painting With Oil Based Paints. 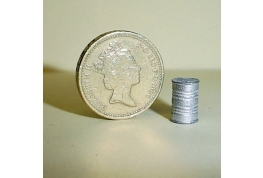 12th Scale Medium Food Can, Suitable For Painting With Oil Based Paints. 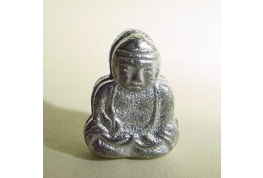 12th scale metal Buddha can be painted with enamel paints if required. 12th Scale Metal Colonial Door Handle. 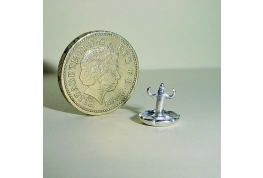 A Great Metal Dispenser, Just Pop Onto A Bead And You Have A Cream Or Syrup Dispenser. 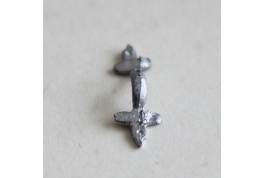 12th Scale Metal Iron, Can Be Left As It Is Or Painted With Oil Based Paints. 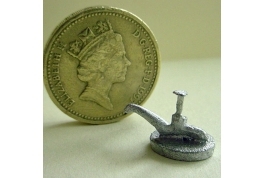 12th Scale Metal Lemon Squeezer. 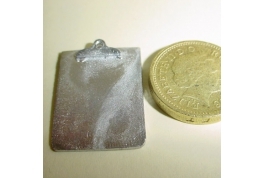 12th Scale Metal Milk Carton, Ideal For Painting with Oil Based Paints. 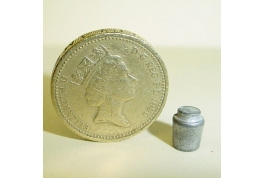 12th Scale Metal Mustard Type Jar Suitable For Painting With Oil Based Paints. 12th scale metal office clipboard, can be decorated with enamel paints. 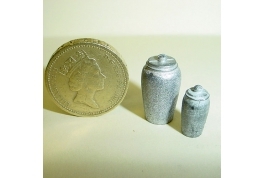 12th Scale Metal Pickle Type Jar Suitable For Painting With Oil Based Paints. 12th Scale metal Pizza Pan. 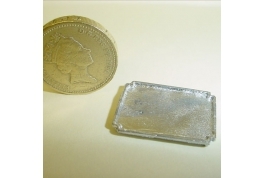 This Item Would Make An Ideal Pub Tray Once Painted With Oil Based Paints. 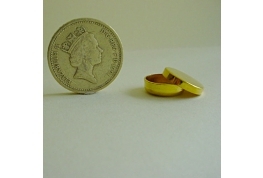 12th Scale Metal Ring Stand Ideal For Shop Displays And Dressing Tables. 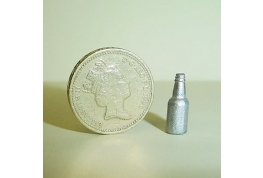 12th Scale Metal Stout Bottle, Suitable For Painting With Oil Based Paints. 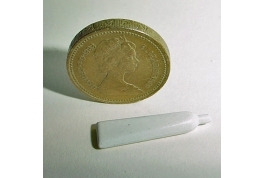 12th Scale Tooth paste or Cream Tube, Can Be Painted And Decorated To Suit Your Requirements. 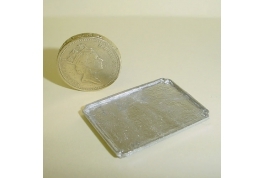 12th Scale Metal Tray Suitable For Painting With Oil Based Paints. 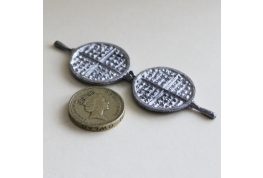 12th Scale Metal Waffle Iron, Can Be Painted Using Oil Based Paints. 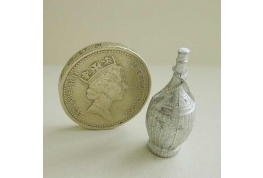 12th Scale Metal Wine Bottle In A Basket. An Ideal DIY Project Just Needs Painting To Your Requirements. 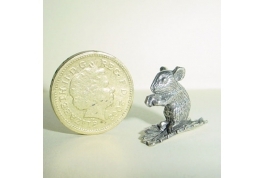 Cute pewter mouse resting on a leaf. Would look at home in a dolls house nursery. Ideal for painting. 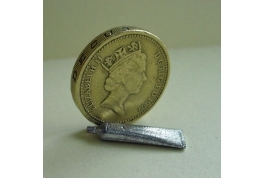 12th Scale Metal Queen Ann Style Tray, Ideal For Painting with Oil Based Paints.